Finally, a flavor-packed curry recipe that doesn't require a small loan for the spices. 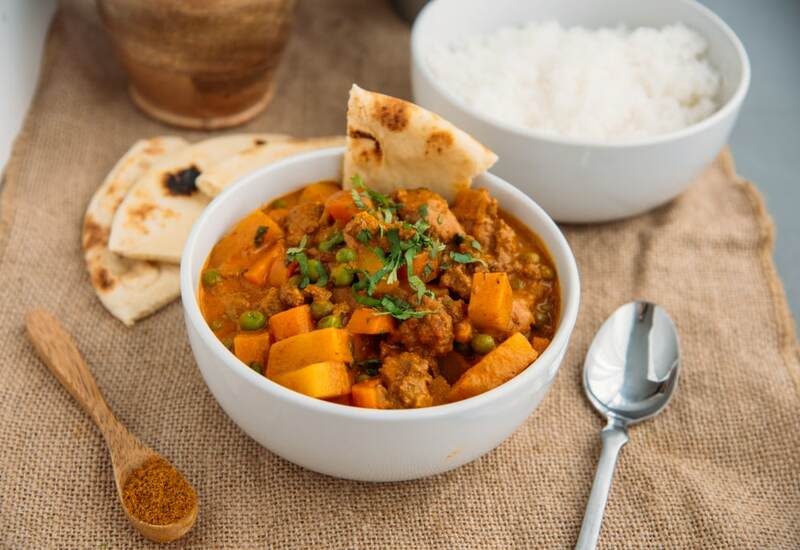 This beef curry gets great aroma and color from turmeric and store-bought curry powder, which is already a blend of spices. Coconut milk adds a rich creaminess that's not too heavy. Chunks of potato make this curry hearty but you could definitely swap in sweet potatoes. Or try adding other vegetables, such as spinach, green beans, or cauliflower florets. We love to serve this curry with fragrant basmati rice or warm, grilled naan—or both! Ghee is nutty-tasting, clarified butter that gives a lot of Indian cooking its distinctive flavor. The process to make ghee is simple but time consuming, if we're being honest. Luckily, you can buy good brands of ghee from markets, such as Whole Foods. Per Serving: 560 calories; 34g fat; 32.2g carbohydrates; 34g protein; 95mg cholesterol; 728mg sodium. So good! Made a big batch of this in my pressure cooker and will have leftovers for day. Definitely not mad at that! Will top this with some riced cauliflower. This curry was fantastic! I swapped out carrots for sweet potatoes the second time I made this dish. Loved it both times! I made this using sweet potatoes instead of potatoes and used coconut cream instead of coconut milk, I like creamy better. I cannot eat onions or garlic so I added 1/4 tsp Asafoetida which is a great flavor substitute for those of us unlucky enough to have food allergies. I also made it in my Mealthy pot. I cooked it on high pressure for 6 minutes, I like softer carrots, and did a quick release. It turned out wonderful.